Certain misdemeanor offenders housed in county jails could be transferred to state correctional facilities under a bill heard by the Judiciary Committee Feb. 6. Historically, county jail inmates being held on misdemeanor charges or sentences could be transferred to a Nebraska Department of Correctional Services facility if the inmate needed a higher level of care or security. This arrangement was nullified by an August 2017 decision that found that only post-adjudicated inmates serving misdemeanor sentences could be transferred to a state facility. 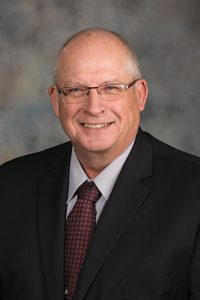 LB376, introduced by Henderson Sen. Curt Friesen, would authorize the transfer of pre-adjudicated inmates for safekeeping if a county jail is unable to house an inmate for any reason. The county still would be responsible for the cost of keeping and maintaining the inmate. Friesen said jails in smaller counties do not have the appropriately trained staff to safely manage prisoners with severe mental illness or who engage in violent behaviors. “Many of these small jails are not equipped to handle some of the mental health issues [inmates have] … sometimes putting the safety of the prisoner and the jail staff at risk,” he said. Hamilton County Sheriff Kirk Handrup supported the bill, saying that the state has the medical and mental health professionals, staffing levels and equipment to safely handle violent inmates. Dan Schleusener, Buffalo County chief deputy sheriff, also spoke in support of LB376. Recently, an inmate who was charged with a felony and suffering a severe mental health crisis refused medication, he said, which made it impossible for the inmate to communicate with his defense attorney and proceed with his trial. Opposing the bill was Scott Frakes, director of NDCS. The bill would give all discretion regarding inmate transfers to county officials, Frakes said, hampering his ability to make decisions about managing NDCS facilities.